Emory-Adventist Hospital at Smyrna was named one of the nation’s “Top Performers on Key Quality Measures” by The Joint Commission, the leading accreditor of health care organizations in America. 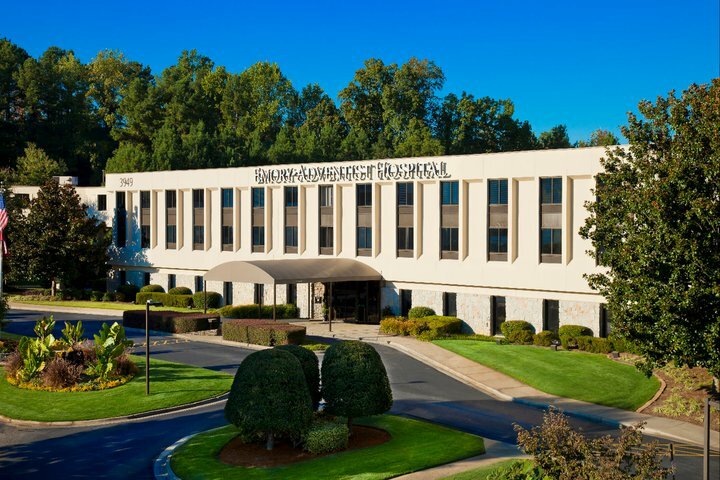 Emory-Adventist Hospital was recognized for exemplary performance in using evidence-based clinical processes that are shown to improve care for certain conditions, including heart attack, heart failure, pneumonia, surgical care, children’s asthma, stroke and venous thromboembolism, as well as inpatient psychiatric services. “If we are not providing safe, effective care, we cannot fulfill our mission, which is to extend the healing ministry of Christ. That’s why the hospital has made a commitment to accreditation and to positive patient outcomes through evidence-based care processes. Emory-Adventist Hospital is proud to be named to the list of The Joint Commission’s Top Performers on Key Quality Measures,” says Emory-Adventist CEO Dennis Kiley. Emory-Adventist Hospital is one of 620 hospitals in the U.S. earning the distinction of Top Performer on Key Quality Measures for attaining and sustaining excellence in accountability measure performance. It was recognized for its achievement on the following measure sets: heart failure, pneumonia and surgical care. The ratings are based on an aggregation of accountability measure data reported to The Joint Commission during the 2011 calendar year. The list of Top Performers has increased by 50 percent from its debut last year and represents 18 percent of accredited hospitals reporting data.